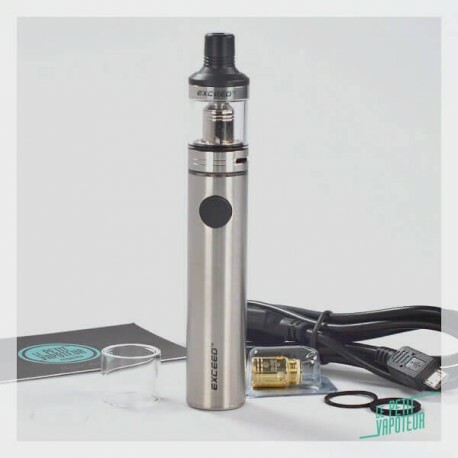 The Exceed D19 Kit is a complete Electronic Cigarette, discreet and performant. 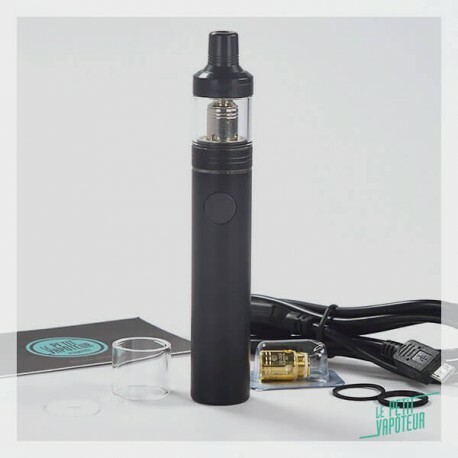 This Kit offers a surprising choice of vape which is convenient for vapers, experienced aswell as beginners. 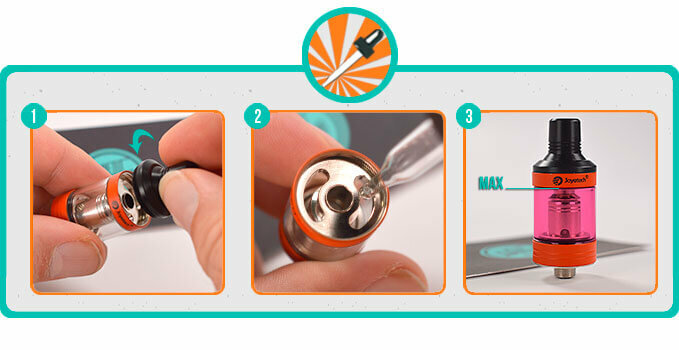 The Exceed D19 Kit, is small battery which has an excellent autonomy of 1500 mAh. It is equally a Clearomiser which is 19mm in diameter, easy to handle, proposing a polyvalent aeration system with 2 Coils which are very complementary, Ex Head 0.50 ohms and 1.20 ohms. 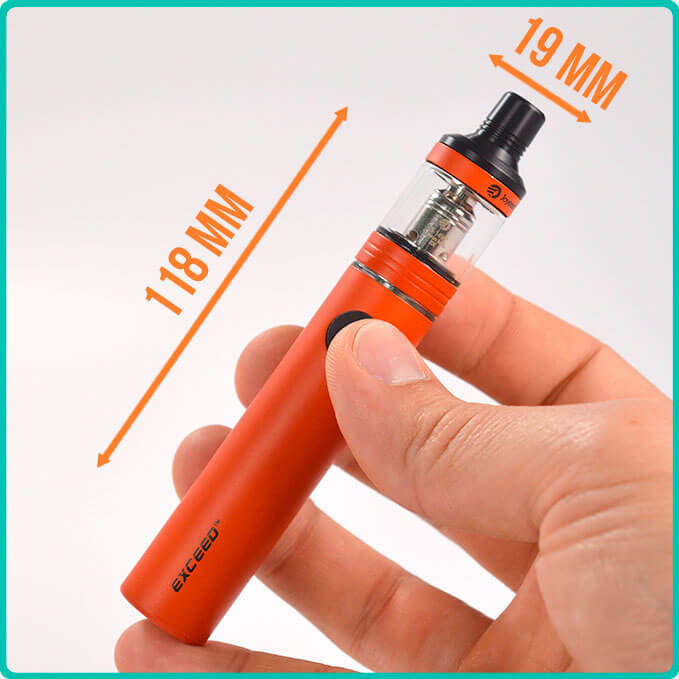 Gracious to the discreet size you can vape in all circumstances with the Exceed D19 Kit by Joyetech. 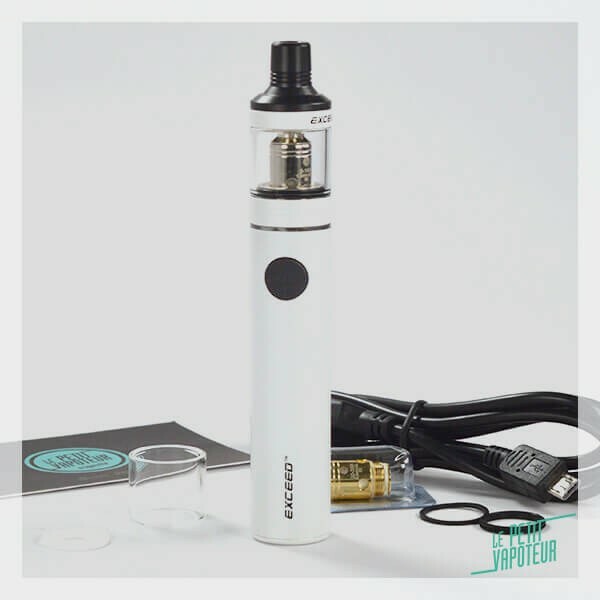 The Exceed D19 Kit is made by Joyetech. EX Exceed Coils are compatible with the Exceed D19, Direct or Indirect Inhaling. The Exceed D19 Kit is an integrated battery and rechargeable via USB with an excellent capacity of 1500 mAh. A battery which is simple to use with an output power of 40 Watts depending on the coil that is used. The Exceed D19 is also simple with filling from the top, with its major asset and diverse type of vape proposing: Mouth to Lung (Indirect Inhaling) and Direct Lung (Direct Inhaling). With vapor and flavour, a choice which is convenient for a large number of vapers. 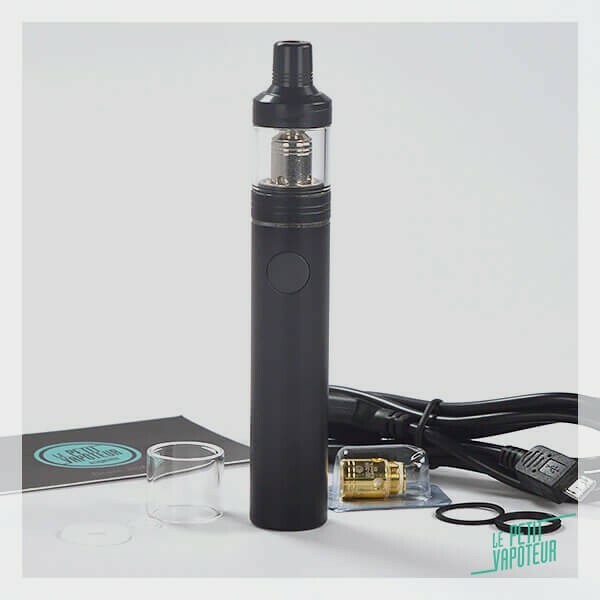 Easy to install, compact for vaping everywhere. A Kit to be discovered.. urgently! This Exceed D19 Clearomiser is compact and polyvalent. Capable of producing excellent sensations which you can vape in Direct or Indirect Inhaling. With the filling from the top, rapid and clean, with the choice of aeration, it is easy to use, to maintain and especially allowing you a large choice of tight or aired pulls depending on your preference. An airflow at the base of the tank which is entirely adjustable and versatile. Note: The Exceed D19 automatically recognises the type of Coil installed in the Clearomiser, and supplies the necessary power adapted. Fine, elegant and compact, the small size hides an integrated battery of 1500 mAh with excellent autonomy. The Exceed D19 Battery recharges via USB (included) with any USB port, adaptor sector or PC port. The Exceed D19 Battery has a charge indicator which is very practical, indicating when to pass over to recharge: the LED light flashes, less when it has power. 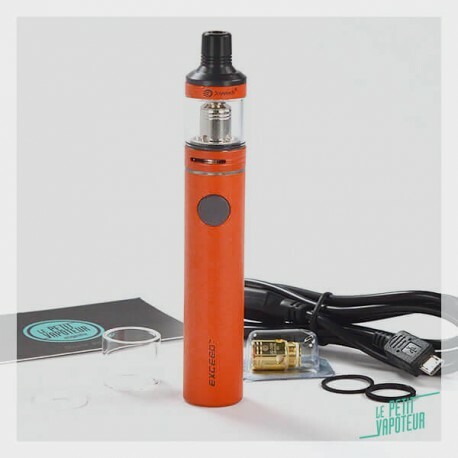 The Exceed D19 Battery automatically handles the power supplied the coil. You can choose the output suitable to your vaping style: Direct or Constant output. Direct Output (White LED):The voltage is not regulated and the current sent depends on the charge of the battery (as in Bypass Mode). the power diminishes, progressively until the next recharge. Constant Output (Orange LED): The output is regulated and the current does not vary. You will always obtain the same render. To pass to one mode to another, a long press on the switch when the battery is off. Très bon kit, cigarette efficace et peut encombrante. Bonne e.cig, petit bémol, ça chauffe pas mal au niveau du témoin lumineux quand on tir beaucoup dessus.